Scouts attending more than one session at Broad Creek can receive a 20% discount on their additional sessions of camp. ***When registering as an Individual (Provisional) Scout select the week you would like to attend camp and register as if you are signing up as a Troop. The below tables shows our campsites available for summer camp, and the # of canvas 2 man tents with cots that will be setup in each. If your unit needs additional space, you can reserve a second nearby tent site for no additional cost (contact the camping department to discuss your options. In addition, all of the sites can accommodate many personal tents for additional capacity. $150 Site Deposit Fee is required at the time of registration. This is a non-refundable fee to secure your campsite and will be applied to your final invoice. Up until April 14, 2019 (Early Bird Fee Deadline) there are no penalties for canceling or adjusting your or your unit's registration for summer camp at Scouts BSA Camp at Camp Saffran. Any reductions in attendance or cancellations done between April 14, 2019 and June 16, 2019 will result in 15% of the regular registration fee taken out of the refund. Cancellations or reductions in attendance from June 16, 2019 on will result in no refunds. This will be waived if the participant has a letter/note from a doctor or documented family emergency which keeps the Scout from attending camp. This documentation is due no later than August 15, 2019 to receive payment. 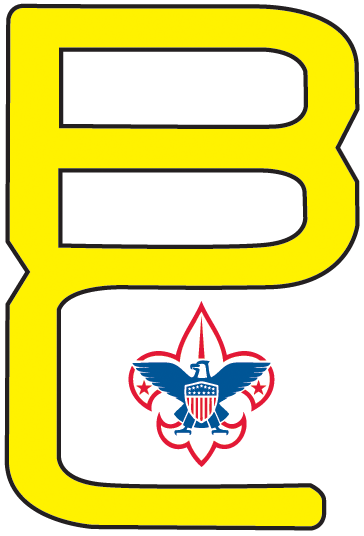 If you are opting for "Troop Cooking" contact campingservices@baltimorebsa.org for help making your reservation. Summer camp registration instructions are below and they may also be downloaded - Click here. 2. Select the specific camp you would like to register for from the top of the page. This will take you to the pricing and fee structure page. Scroll to the bottom and click REGISTER. 3. Choose the week or session that you would like to register. 4. Enter your unit’s information with a Point of Contact and include their valid email, phone number and address - then click CONTINUE. 5. Select "Tell us the number of Youth and Adults attending Camp". 6. Enter the number of each type of Registrant (i.e. Scout, Adult, etc.) and click CONTINUE. 7. If you know the names of the individuals going select "Tell us the Names of Youth and Adults attending Camp". If you do not have the names at time of registration move on the Step 9. 8. Select "Add a New Participant" and fill in their First and Last name as well as Registrant Type (i.e. Scout, Adult, etc.). When you are finished click CONTINUE. 9. Select "Reserve a Facility for this Registration" and choose your preferred campsite from the list and click CONTINUE. Note: Camp Oest registrations do not need to select a facility. 10. Once you have entered the number of registrants and a campsite select CHECKOUT. 11. You will see a breakdown of your registration. Please confirm it is correct and select your payment type and fill out all appropriate billing information. 12. Select "Make Payment" or "Save", if choosing to submit a mail/offline payment. 13. Check the Point of Contact email for a mail copy of your receipt, as you will need that information to access your registration webpage again. For instructions on how to do that click here. 1. If you have already Retrieved your Username and Password and can access your registration account, please skip to the Instructions on Signing Up for Merit Badges section on the second page. 2. To retrieve your Username and Password, first go to www.broadcreekbsa.org. 3. Once there, select the Camp Registration link corresponding to the Camp you have signed up for (i.e. 2012 Spencer Summer Camp Registration if you have signed up for Camp Spencer). The links are located under the Broad Creek banner at the very top of the page. 4. Next, select the Click Here to Register link corresponding to your Week of Registration on the right hand side of the page. 5. Once at the registration page, choose the To edit an existing registration click here link at the bottom of the page above the Go Back and Register buttons. 6. You will be taken to a Log In page. Click the Need Password link to the right. 7. At this page, you will need to provide your Registration Number, Personal Information and Email Address exactly as it appears on the registration for Summer Camp and click the Continue button. If you do not have this information contact Chris Wetzel at cwetzel@baltimorebsa.org. 8. Once you click Continue, a Username and Password will be emailed to you at the Email Address you provided. 9. Once you have the Username and Password, return to the Log In screen and enter both. You will then be prompted to reset the password to something of your choosing. 10. You will then be taken to a page displaying your previous registrations and current Summer Camp registration which you can update by choosing the Edit/Update link under the Registrations tab. 1. Complete the above Instructions on How to Retrieve Username and Password. 2. Log In to your account and click on the REGISTRATION tab at the top of the page. 3. Choose the EDIT/UPDATE link corresponding to the appropriate registration for summer camp. 4. Once at the Update page, you can make any corrections to your registration that you need to including adding or removing participants, naming participants, signing up for merit badges and making payments. 5. Choose "Sign up individual Youth for Merit Badges, specialty camps & activities" button. 7. Step One, Select the Scout from the list of named participants. Make sure all of your Scouts’ names have been entered or you will not see them here. 8. Step Two, Select a SESSION of the day. Camp Saffran breaks the day into 6 sessions while Camp Spencer has 4 sessions. Be aware that some programs and merit badges last more than one session or even the entire day (i.e. First-Year Camper). For more information on the schedule, consult the Program Guide at www.broadcreekbsa.org. 9. Step Three will allow you, after selecting a session in Step Two, to choose a merit badge class or program by clicking on the “+” sign. Be sure to take note of the times to avoid any scheduling conflict. 10. Step Four is an overview of the schedule that has been chosen for the selected Scout. 11. Once these steps have been accomplished for each of your Scouts choose the CONTINUE button at the bottom of the page. 12. Once back to the main registration menu, you can use the CHECK SCHEDULE CONFLICTS button to make sure that your selected schedule works. 13. Once satisfied with your choices, select the CHECKOUT button at the bottom of the page. 14. On this page you can choose to make a payment on any merit badges or programs that have an additional cost or select MAIL/OFFLINE PAYMENT and the SAVE button to save what you’ve done.